I had to start this post with my all time favorite of 2017, Tarte Shape Tape. If you've seen my makeup routine then you know how much I absolutely adore this product. This is the only product I have found that actually covers up my dark circles without having to go over it three times! This is also the only concealer that I have tried that lasts all day long. I even use this concealer underneath my foundation on places like my nose and my chin where my makeup always seems to come off throughout the day. Whenever I add shape tape on troublesome areas my foundation lasts all day. I could not make a "Best of 2017" post without including the Jaclyn Hill Palette. I have tried so many palettes over the years but I had never tried a Morphe palette, don't ask why because I really do not have a reason for it. So Trevor (my boyfriend) knew how bad I wanted this palette and decided to get it for me for Christmas. I'm not going to lie, I got other palettes for Christmas but I have not even tried them yet because I have not been able to put this one down long enough. The color range of this palette alone is enough to make you run to Ulta to pick one up if you have not already. These shadows are buttery soft and blend effortlessly, and when they blend together they create a beautiful look. If you have any other suggestions for other Morphe palettes or any other palette I should try leave me a comment below! Another holy grail from 2017 has to be the L'oreal Lash Paradise Mascara. I heard all of the hype whenever it first came out but I did not know whether to believe it or not. Then one day shortly after hearing all about it I found myself at Ulta staring right at it since then I've gone through two tubes almost three. This stuff is seriously amazing if you have not tried it yet because you don't know whether to believe the hype or not, do it. For only $10 you can have a drugstore mascara that gives high-end results. Over the summer I fell in love with the Covergirl Outlast All-Day Concealer. Despite the way that its name sounds, it is a pretty light coverage concealer making it great for the hot summer months. I live in southern Louisiana and this concealer stood up against the humidity and heat of the Louisiana summer! It is a medium coverage concealer and will last you most of the day and leave you with a beautiful matte finish. The Real Techniques Miracle Complexion Sponge was something that I did not see myself getting into, but then 2017 happened and I haven't been able to give it up since. I was a Beauty Blender lover through and through, I had tried other sponges but they were all too dense and did not blend anything out the way that I wanted. Then one day I decided that I was going to try the Real Techniques version of the Beauty Blender and if I hated it, it would be alright because it was only $5. Well, instead of hating it I wound up falling in love with it. It blends liquid products beautifully just as well as the Beauty Blender does, so don't feel bad about not dishing out that $20 on a new Beauty Blender next time. 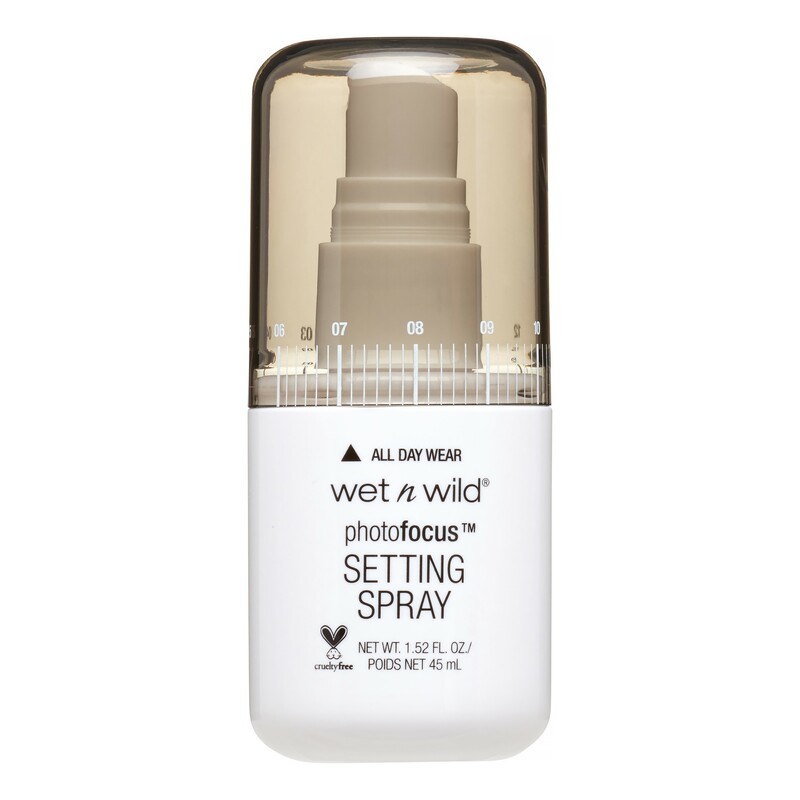 The Wet N' Wild Photo Focus Setting Spray is one of the most underrated products in the beauty world! I was looking for a cheaper setting spray one day because I did not feel like dishing out $30 on my favorie Urban Decay one, and I saw this one and picked it up. Amazing is an understatement for this product. I have never used a drug store setting spray that actually kept my makeup from moving all day! You can pick this up at Walmart, or Target, or online from Ulta. For under $6 you can set your makeup and it will stay all day! I swear by this stuff, go try it out for yourself! The Wet N' Wild Coverall Primer, is another one of those underrated products that will you give you amazing results. I started using this product at the beginning of 2017 after running out of my Smashbox primer. After using this for a year, I won't break down and buy a high end primer anymore! This is a very hydrating primer that dries down to a matte finish. I love how this primer fills in my pores and gives my skin an overall soft matte look. It keeps my face pretty matte all day and definitley compares to the high end primers that I have tried before. You can pick this up at Walmart and Target, and it can be bought online at Ulta. If you have not tried these NYX Lip Lingerie Liquid Lipsticks yet, you are really missing out! If you know me, then you know that I am obsessed with matte liquid lipsticks, and these are some of my favorites! These lippies dry down to a matte finish but they still feel comfortable on the lips and they don't feel drying like a lot of liquid lipsticks do! The only thing bad that I will say about this product is to be careful about reapplying, it can get thick with a second layer and then it begins to look odd. But I seriously love these and their shade range is a lot of neutrals and they're under $10! This L'Oreal Telescopic Mascara is something that I cannot go through my daily beauty routine without! This mascara gives your lashes amazing length. I use this mascara as a base before I go in with my Lash Paradise. So I'll use this one to make my lashes look longer, and then go in with my lash paradise for the volume. This is my favorite mascara combo, so if you're like me and combine your mascaras try this duo! And if you do try this duo, let me know how you like it because I wanna know! Y'all this BROWVO! Conditioning Eyebrow Primer is one of the coolest products I have ever tried. I will put this on my eyebrows after I brush them out and just before I start to fill them in. This products makes the brow hairs softer and easier to work with. After using this I can see the difference in my brows and the way that the product applies afterwards. Everything seems to look smoother and more natural when using this product! I seriously adore it! 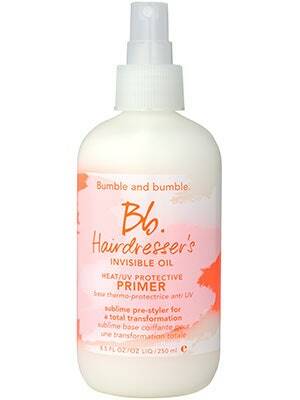 Y'all..... so I could go on about the Bumble and Bumble Invisible Oil Primer for days because that's just how wonderful it is. I have color treated hair so I really try my best to take care of it. Along with my hair being color treated I also put a lot of heat on it, all the time. So I always grab this oil to spray in as a heat protectant. My hair has felt softer and healthier ever since I started using this about a year ago. Even my hairdresser compliments how healthy my hair is and I really give it all to this product! It is not the cheapest hair product coming in at $28 but I promise you guys it lasts forever. I have had the same bottle for about a year now and I am only half way through it. 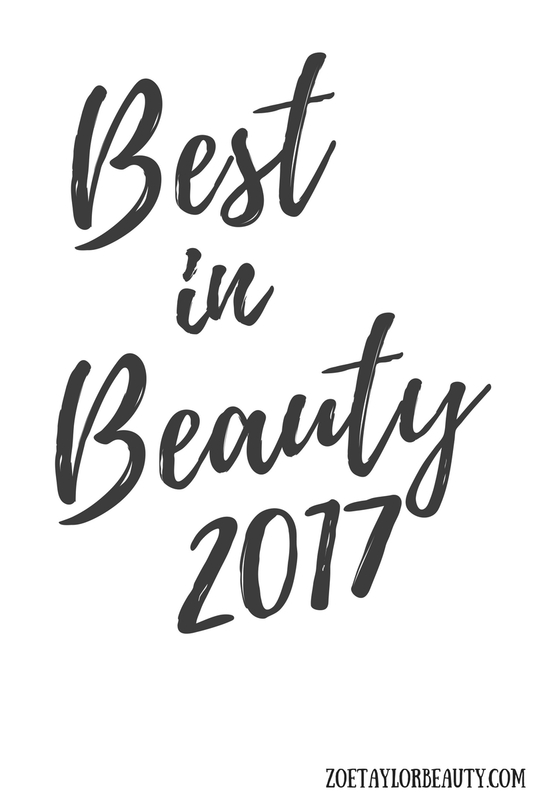 2017 was the year that I really started to fall in love with Sally Beauty and with their Ion brand. I went to the beach with Trevor and his family over the summer and I was worried about my bleached hair being in the sun for long periods of time. So I ran into Sally Beauty for a leave-in conditioner and left with this one and I have used it every day since then. I spray this into my hair every day after I shower and my hair is always super soft after I use it, I seriously love this stuff and it's under $10. 2017 was also about discovering how important purple shampoo is, and this one has become my absolute favorite. This is the only purple shampoo that I have found that does not smell bad! This brand also makes a purple conditioner, I do not use it because I don't think I need it! But I also find that everything from this brand smells nice. This purple shampoo always keeps the brassiness out of my hair and it's only $8! This thickening tonic has been a part of my hair routine for a couple of months now and I love it! I usually spray this into my hair whenever my hair is still wet and I can definitley see a difference in my hair whenever I use it! I personally do not like the smell too much, but I love the product and the smell does not linger so it is not too bad! You can pick this tonic up for $29! This hair serum from John Frieda is one of the only ones that helps my hair combat the humidity! I live where it is humid almost all of the time so anytime I fix my hair it fails almost every time right when I go outside. I use this product when my hair is wet and I loveeee it! It's seriously fantastic and it smells great and it's only $10!